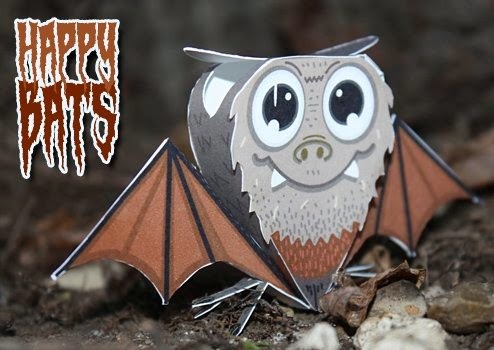 Over the years, designer Brian Ratliff has created a dozen different Halloween themed paper toys. My favorite of the bunch is this happy bat. Also included in his spooky collection are Dracula, a wolf man, a mummy, a witch and some irritable owls. Templates for each of the paper toys may be downloaded at Brian's blog, Chemical9. 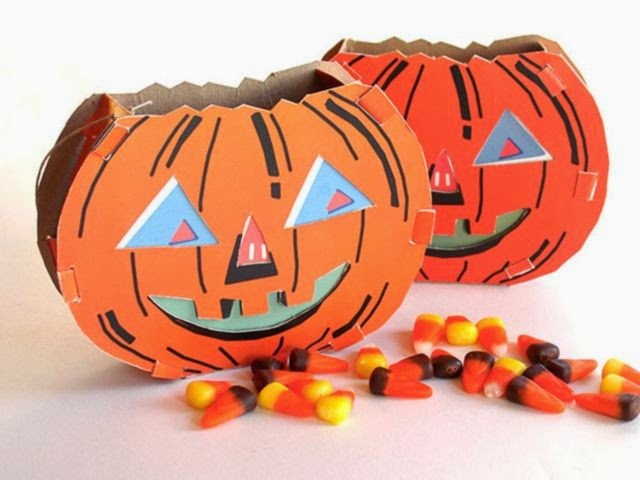 These papercraft pumpkin treat boxes were modeled after cardboard Halloween decorations from the 1940's. The happy jack-o'-lanterns are just the right size for a handful of candy corn. The template for the pumpkin (found here) was created by Heidi Kenny at Mypapercrane. Here's another paper toy for Halloween: a mummy! Looong before zombies ascended to the top of every one's top ten list of undead monsters, mummies were a fan favorite. In fact, the first movie to feature a mummy was the 1899 silent film Robbing Cleopatra's Tomb by George Méliès. 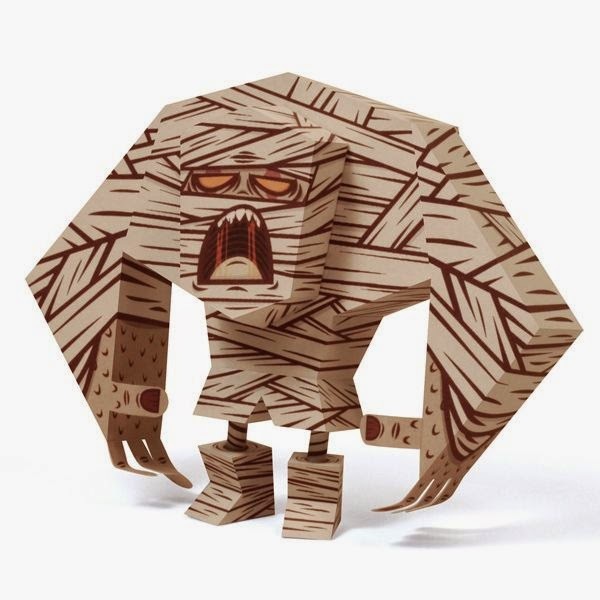 This paper toy mummy was created by graphic designer Tougui. The template may be downloaded here. I have finished another skull in my papercraft skull series! 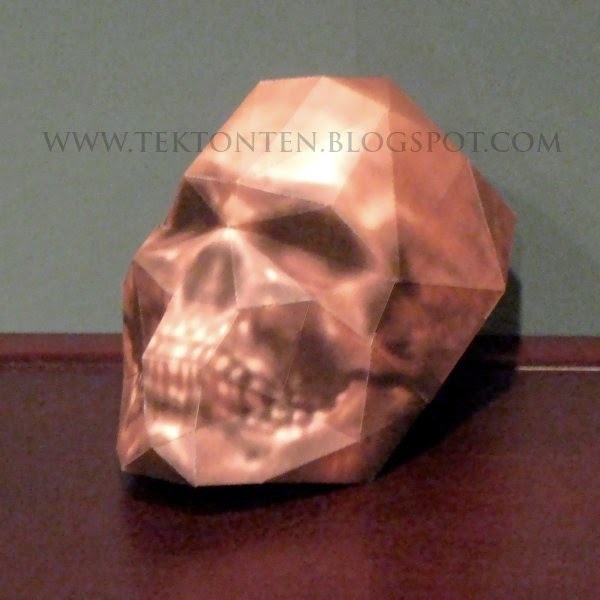 This skull is based on a 3D model from the World War II themed video game, Return to Castle Wolfenstein. In the game, skulls like this can be found (among other places) in secret rooms inside Nazi strongholds. As with the other skulls in the series, this one is roughly 1:1 scale. The template for the Wolfenstein skull may be downloaded here. 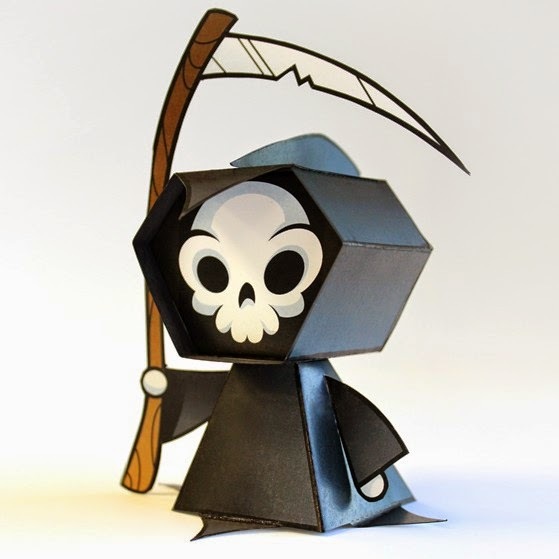 This not-so-grim reaper paper toy was offered as a free Halloween printable a couple of years ago by the urban threads blog, StitchPunk. Officially named "Lil' Death", this printable is still available! The PDF template for the toy may be downloaded here. Assembly instructions are included in the download. The Sailor Moon anime aired on television in Japan for most of the 1990's. The series follows the exploits of a young girl named Usagi Tsukino who has the ability to transform into "a magical, pretty soldier in a sailor suit destined to save Earth from the forces of evil". 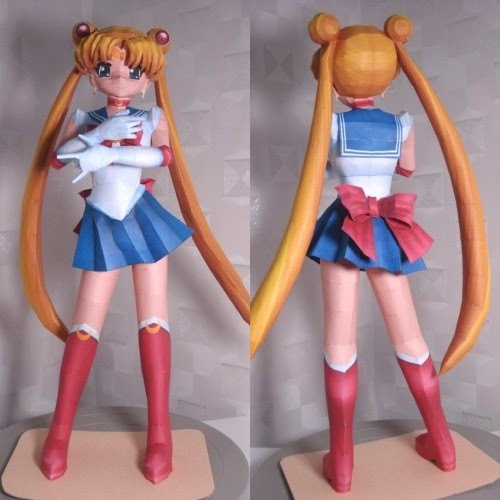 The Pepakura PDO template for this nicely done paper model of Sailor Moon was created by Paper Mike and may be downloaded here. Build photos by Sinsis. Halloween is nearly upon us! 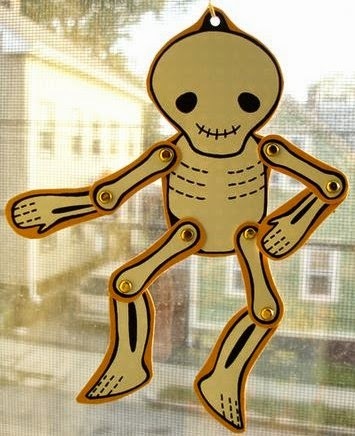 If your tastes in Halloween decorations lean toward the cute side, then this printable paper skeleton is just the thing for you. Metal brads make the skeleton pose-able, but if brads are not to be found, the little fellow can be glued in whatever position you like. 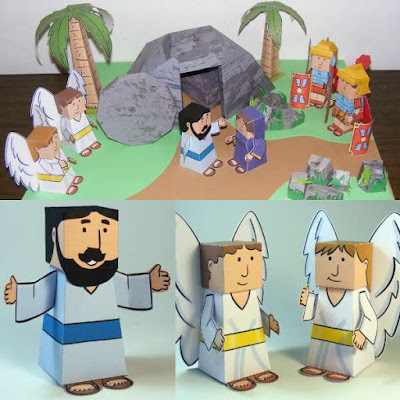 This papercraft was designed by Teresa Levy and may be downloaded here.